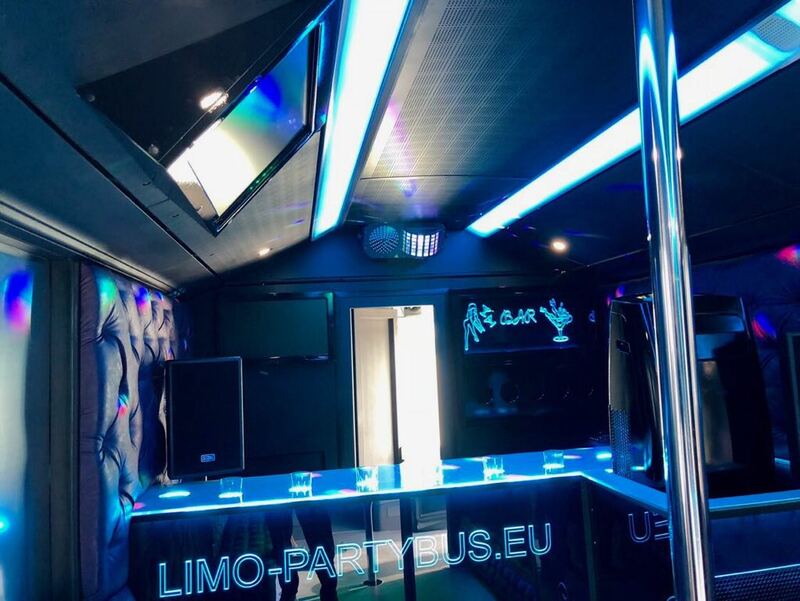 Private Party - Stag/Hen Party | At Limo Party Bus In Prague. Pre-marriage party with Best Friends is a special event. 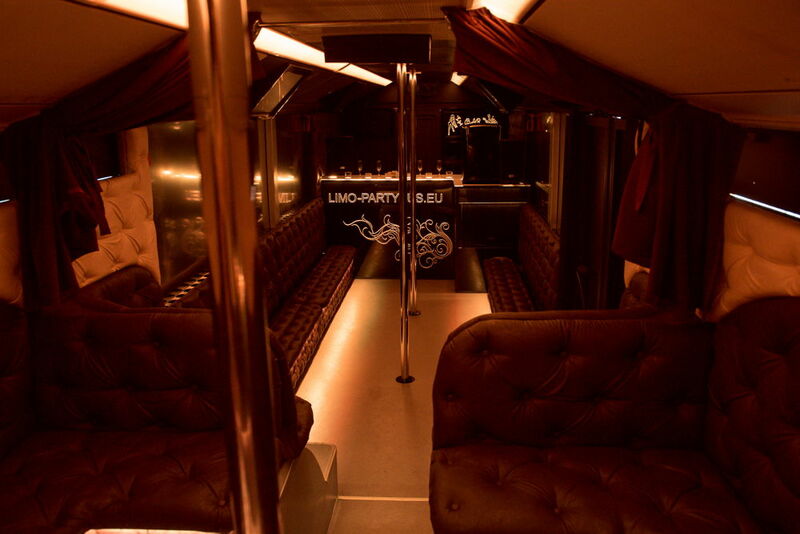 Bus Party is a unique experience containing dance floor, dance pole, great music and drinks. If you are a little bit more adventures You can even enjoy a Striptease or a Chippendale show – all in the same place. We promise that whatever happens in the Bus, stays in the Bus. 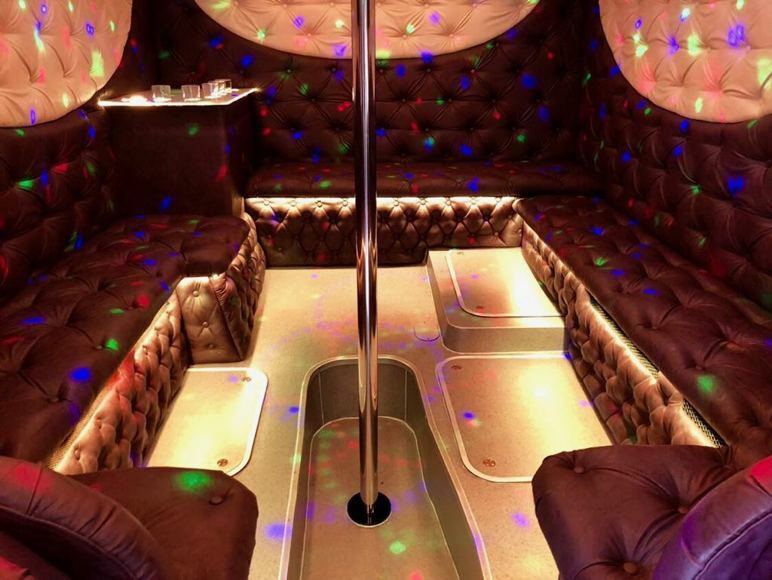 Classmates of all ages are very welcome to have a party inside of our Partybus. You can bring your old pictures and videos, which can be displayed on the LCD, to relive the fun times you had in past. Have a specific music playlist you want to listen to? Bring that too. Impress your friends or clients with an airport transfer that will stay in their minds forever. Hotel to Airport transition is your last opportunity to spice things up and keep long lasting memory for your friends or clients. Organize your corporate event for your team or valued clients with us. Your Product or Brand info will be displayed on our LCDs, we even have a microphone for your presentation. 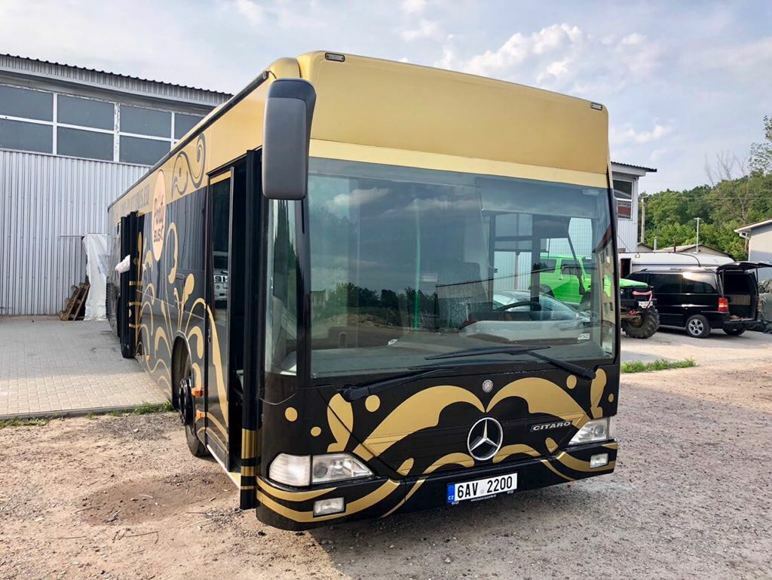 On your special day in your life our Limousine PartyBus can take your family and guests from the ceremony to the reception. The celebration can start in PartyBus. All the guests will arrive on time and together! Birthdays and Anniversaries are very special occasion for you, your family and friends. 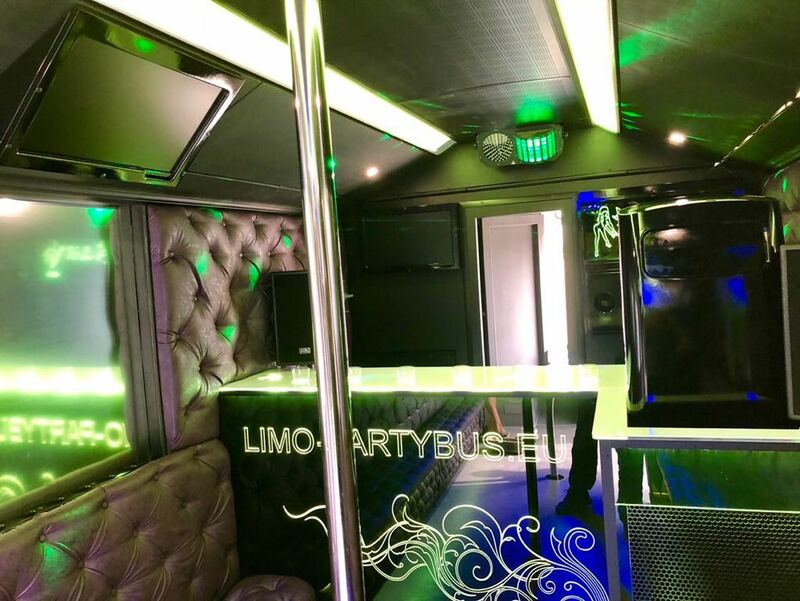 Party bus is the perfect surprise for this occasion. We can organize Cake, Music of your choice, Drinks, Decorations. We can even help to realize your deepest fantasies. Booking PartyBus solves everything. Are you planning on having a party but you don’t have access to a bar equipment or you are missing the sound system? Don’t worry we can come to you. We can even manage a kid’s birthday party with a Clown, Cake and all that.